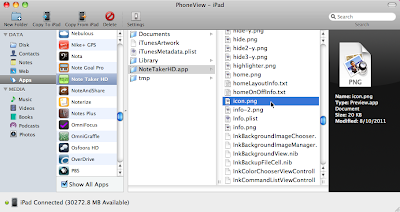 You can overwrite the icon.png file used by your app to display its icon on your ipad. And after you do this, the new icon will not be overwritten by subsequently syncing with iTunes. I used the commercial OS X app, Phoneview by ecamm, but you could also use a free app such as Macroplant's iPhone Explorer for Mac or PC. If you have a problem, you can always delete the app off your iPad and re-download it from iTunes. When the app developer releases a new version, you will need to re-overwrite the icon.png file. P.S. 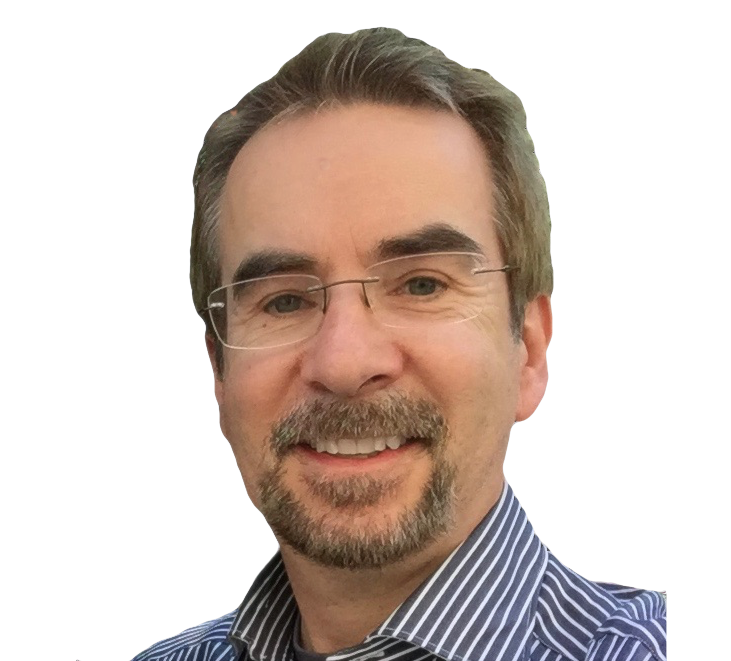 If you're a fan of NTHD, but not of its new icon, please give author Dan Bricklin some feedback. And here's a replacement icon.png file—nothing special, just less objectionable—right-click, select Download Linked File, and follow the instructions above. 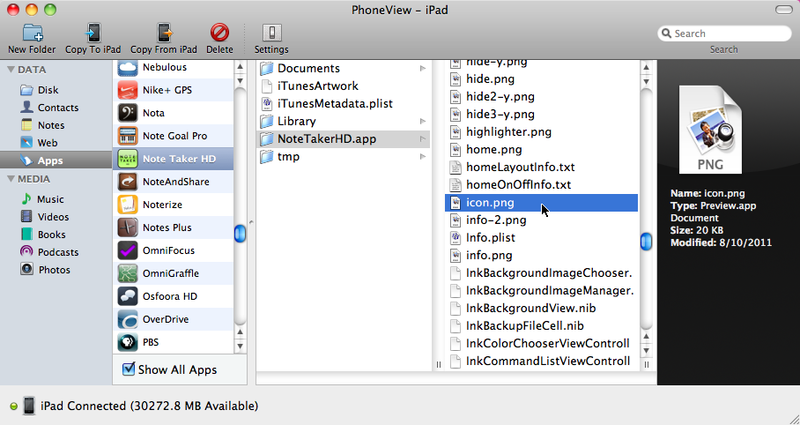 Alternatively, using the freeware iPhone Explorer OS X app, after connecting your iPad via USB, requires more steps to locate the icon.png file within the Note Taker HD app.